Brazil’s largest city of São Paulo and its Greater Metropolitan Area are running out of water. 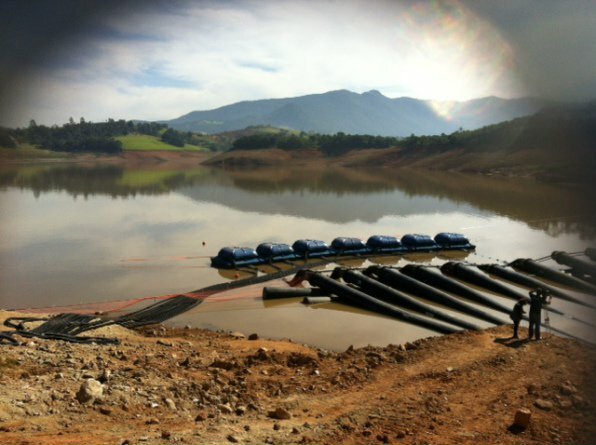 Due to its worse prolonged drought since 1930, the State’s complex Cantareira System of reservoirs is drying up. Managed by the Basic Sanitation Company of the State of São Paulo (Sabesp), the Cantareira System supplies water to 8.8 million residential and industrial clients. Alarms sounded in summer. Rainfall in December 2013 was 72 percent below normal. Reductions continued in the New Year with 66 percent in January and 64 percent in February. Exceptionally high temperatures aggravated the situation. Starting in February 2014, Sabesp offered a 30 percent discount to consumers who reduced their consumption by 20 percent. By August 11, about 22 percent of consumers had not heeded the call for conserving water. Forty percent of customers had benefitted from the discount. Consumption data indicated far lower reductions for upscale neighborhoods than for low-income homes. Professor at the Polytechnic School of the University of São Paulo and president of the Water World Council, hydrologist Benedito Braga defended changing the present system of water rates. “The only way to make people reduce their consumption is to create an impact on their wallet,” Braga told BBC Brazil. He proposed tripling the water rate after a reasonable limit with a six fold rate thereafter. “When the consumer receives the bill, he’ll realize he can’t pay the bill and will understand that there’s a crisis and economize,” Braga added. In July 2014, for the first time since its foundation, active water volume in the Cantareira System shrunk to zero. The inactive reserve, known as “dead water,” was 18.5 percent. After studies revealed that the “dead water” would last until October 2014, if the drought persisted, federal prosecutors recommended immediate water rationing. As at August 30, 2014, the active volume plus reserve has fallen to 11.1 percent. Vice-director of the Institute of Hydraulic Research, Federal University of Rio Grande do Sul, blamed São Paulo’s water crisis on poor management. For about a year, the CEOs at Sabesp knew about falling water levels and did nothing until it was too late. The professor recommended educational campaigns for ways of reducing water consumption and cuts in the water supply to reduce consumption. 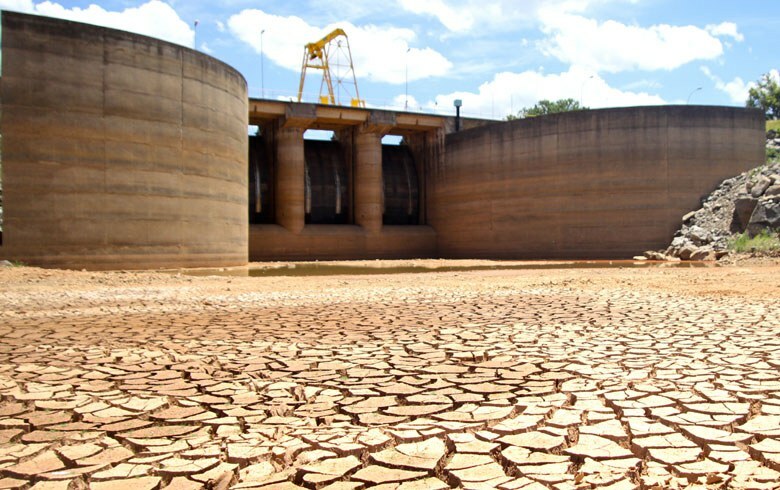 Brazil’s federal government has awakened to the need to reduce the risks associated with droughts and floods across the country. On August 20, 2014, the National Water Agency (ANA) presented in Brasília its National Plan of Hydric Security (PNSH). In partnership with the Ministry of National Integration and the World Bank, ANA has set 2035 as the delivery date for the proposed structural and integrated national system necessary to guarantee water supply for Brazil’s human consumption and productive activities. We can no longer take for granted an abundance of water. Faced with climate change of extreme droughts, floods, and temperatures, we have to manage and use our water resources with new awareness. If you haven’t read it, “The Worst Hard Time,” by Timothy Eagen is a terrific history of the “Dust Bowl” period in the USA. Ken Burns also did a wonderful documentary on the subject. I’ll be tackling the California and US drought in my next blog article. A big thank you, Cyril. Maybe de-salination plants and two types of water supply…..drinking and for other uses. ‘storage’ reservoir for drinking water during summer months. where u either fill up your container or drink from. their consumers use daily/weekly/monthly yearly. and so does their shareholders. I agree with you, Kamtan, “the water companies should be penalised not their consumers.” This is what happens when you put the management of your water supply in the hands of a private company. Water becomes a commodity for profit and not a common good and right of the people being served. If banks screw up ….they get fined millions…. solar….TV digital and free…tel pay as you go…. No immediate neighbours..MY HAVEN ! its where I hibernate most of year…..in tandem with nature ! Shhh, Kamtam! Don’t let Big Business hear you. They’d turn your haven into profits in the wink of an eye. ‘YES’…as per del Monte s advert ! euroland….Stalin and Thatcher re-incarnate ! Isnt it funny how history has a way of repeating itself ! in the Jihadists and Christians pie in the sky ! ha ha ! Heineken advert which was funny….the innuendo ! I’m lost, Kamtan. I haven’t seen the Heineken ad. Sorry …it was on UK TV for Dutch beer…. “Global Warming” is an aptly applied label to what transpired in the “Dust Bowl” in the USA and Canada in the 1930’s – Man’s abuse of the environment made a bad situation worse. See this: http://en.wikipedia.org/wiki/Dust_Bowl – and the same reasoning could be applied to the environmental challenges in the Cantareira System. Man will not allow Mother Nature to recover normally. We are heaping insult on top of injury – we are kicking Mother Nature when she’s down and we are not going to stop until planet Earth looks like planet Mars. Karl Marx said it best, I believe, when he said that the last capitalist we hang is the one who sold us the rope. São Paulo is quite a safe distance from Guyana, it seems to me; but Mexico and Canada are in an environmental conundrum and a very precarious position in relation to Uncle Sam’s abusive conduct towards Mother Nature, regarding water. Clyde, thanks for sharing related links, especially the one on bulk water not addressed under NAFTA. I agree, “São Paulo is quite a safe distance from Guyana.” The area to watch is Northeast Brazil. That region is much closer to Guyana. In the same way could the Atacama desert move north east. process considerably as daming the Nile is proving. it is not my generation that should be ‘panicking’….but more the concerns of my children grandchildren…..
will return to haunt him ! JUMBIE guh get him ! Ha ha ! Guyanese humour can be alienating ! The distance between Guyana and Sao Paulo should be no comfort when Guyana itself is experiencing deforestation by foreign investors. That region of Northwest Brazil and Southern Venezuela is not immune to droughts either as recent history has proved. We need to take lesson from Brazil, the USA and Canada and aggressively manage our situation before we end up like them. “The Land of Many Waters” will no longer apply if we clear cut trees at the rates other reports on this site suggest. Thanks so much for sharing, Welch. I’ve been so focused on Guyana, Brazil, and the USA that I’ve neglected to keep abreast with neighboring Venezuela. According to the headlines, the Venezuelan government began emergency water rationing in May 2014. The region comes up clearly in the Global Drought Map for South America. or drink……how shortsighted humans are ! More bad news. Things looking worse for Guyana’s future with the Chinese helping them to clear the forest. To dampen comments with bit of Guyana s humour…..
that made me chuckle ! structure now….not tomorrow ! Wake up call. ! !